Business M&Ms; It's Not Candy. http://sabacon.net/category/blog/ Business M&Ms; It’s Not Candy. Many businesses flounder and sometimes fail either because management is unaware of the macro trends or negligent in mastering the micro details. In hindsight, it is always easy for managers to see the macro trends and micro details (the M&Ms). But effective managers have the foresight to act on the M&Ms or seek advice before it is too late. This is not to say that it is always easy. It reminds me of the frog in boiling water adage. The boiling frog is an anecdote describing a frog slowly being boiled alive. The premise is that if a frog is put suddenly into boiling water, it will jump out, but if it is put in cold water which is then brought to a boil slowly, it will not perceive the danger and will be cooked to death. Our objective is to not be that frog. I owned a profitable brick and mortar specialty toy store chain in the Bay Area that succumbed to the macro trends. 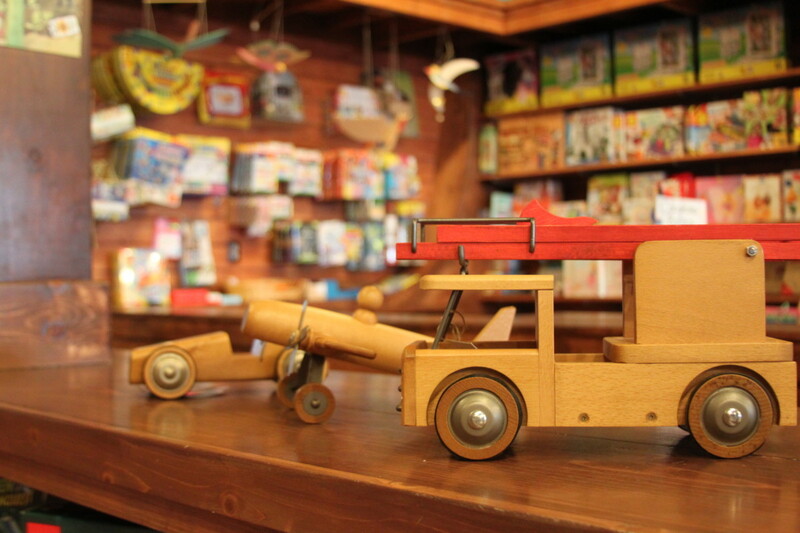 The business model was based on providing customers with wooden, heirloom, old school and educational toys, games and books. Our customer base relied on me and my buyers to research various specialty items and provide them with a unique mix of toys and games for their children and grandchildren. Two macro trends disrupted my business strategy. First, the continued growth and pervasiveness of the internet. Amazon, who’s strategy was initially a high volume, low to no margin business with investors and venture capitalists absorbing the losses destined to provide every product possible, expanded the reach into my niche and the niche of many other retail businesses. Suddenly, customers who previously depended on my stores for unique products, could go online or to Amazon specifically and find my previously hard to find toys. Amazon and their online competitors well selling my toys and games cheaper than I could buy them from the manufacturer or with next to margins. Additionally, in the beginning, online retailers didn’t pay sales tax. Some customers would shop for products in my stores use my sales associates’ knowledge and then buy the product online sometimes from within my store itself. Second, was the coming of the iPhone and iPad. Before the iPhone and iPad, my stores catered to children up to thirteen year olds and sometime older, but that was all about to change. Parents started to use the iPhone and IPad as babysitters for children as young two. Middle schoolers were increasingly using texting as their primary form of socialization; no longer going outside to play games and interact with one another. Pre-teens now wanted an IPhone instead of a Lego set or a cherry wood play kitchen and with the advent of social media the conversion from toys to gadgets was complete. Toys were no longer the items the children most desired. I recently completed a consulting engagement for a business that was failing for an entirely different reason than missing the macro trends. Their issue was mismanaging the micro details. What are the micro details? You might be wondering. They are the key performance indicators for your business. They are also the processes and procedures that ensure profitability, and management qualities that engender the employee loyalty and dedication necessary for the business to succeed. Unfortunately, management had designed the correct business model for the business but was unable to execute the most basic of business activities. This business never tracked inventory or understood the gross profit margin for each of their items until their last year of its existence. This does not mean that management was totally ignorant. Management knew they were lacking, but they were both unwilling and incapable of designing the necessary policies and procedures. Management’s inability to implement inventory control and service procedures that would have increased their chance of success, paralyzed the business. Additionally, management was not involved in the day to day activities of the business and yet leaned towards micromanagement. The business had been in financial trouble for many years, by the time they hired me. Management had lost the patience required to implement all of the changes necessary to turnaround the crisis. They were tired of losing money. 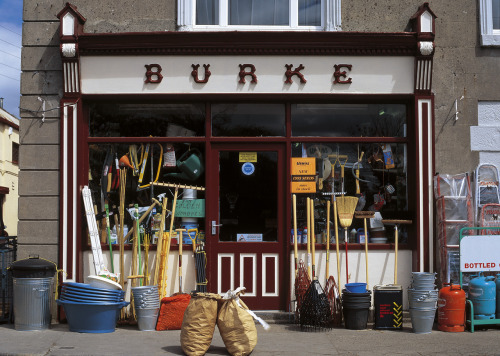 Businesses may falter or hit troubled patches for a variety of reasons. Some businesses get caught up in societal and economic change, just like mine. Others businesses, like my client’s, suffer from the mismanagement of the details. Business owners cannot always tell where is up and what is down and sometimes it is hard for you not to become the frog. Take a breath. Are the circumstances affecting your business external to your business or internal to your business? Are your competitors also suffering? If not, why not. If your business’ sales deficiencies are due to macro trends maybe it is time for you to think about jumping out of the water. Now, maybe the timing is not right for you to plan an exit strategy. Therefore, you might need a complete change in business strategy might to maintain viability. If you determine that you need to do a better job of managing the micro details, do have the money, determination and the stomach to turn it around. Can you acknowledge your own mistakes and keep a positive attitude? Then change is possible. Some issues are minor and can be fixed in a month or two whereas others might take a year or more. If as a manager, you can refocus on the micro details, then your profitability is on the horizon. Otherwise, again an exit strategy might be in order. No matter whether you are facing macro trends or micro details the solution to your problems are around the corner. The solution might not be easy, but it is possible. So the next time you are eating your favorite color of M&Ms, think about evaluating your business’ M&Ms.